Not long ago, in the year 2017, cryptocurrency was the real deal; ICOs were on the rise and in overwhelming demand. Fast-forward, that trend hit a dramatic turn last year, and from Mid 2018, there has been a significant drop in the number of ICOs trying to raise financing. 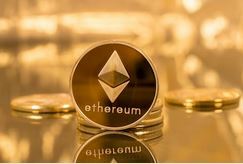 It is known that Ethereum has performed quite poorly in the crypto market, with statistics indicating that from January 2018, the price of ETH has fallen by over 90%. 1. till Jun 2017 when Avg ETH price was below $250. 2.after jun 2017-W1 Jan 2018 when Eth saw a bullish ride and clocked above $250, $500 and later $1000. 3. Jan 2018-Mid Sep 2018 when ETh saw a falling trend and touched below $250 mark. 4.Mid Sep 2018 till now when it is staying below $250 mark. So coming to the trend, In June 2017, ETH was fairly well priced, worth a whopping $300 in the crypto markets. ETH maintained the bullish trend and hit really high prices towards the end of 2017, in December it was valued at $722. During this time, ICOs saw very high funding in the ETH mode since it is the ICO platform which is broadly used. In many ICOs ETH was the only funding source. ICOs massively received ETH funding, raising huge amounts of funds through ETH which was booming at that time. ICOs were expecting that the price of ETH will shoot up even higher in future. It was very easy for businesses to get funding to their projects at this time, it was also very lucrative to the investors taking part in the projects as they have enjoyed very big returns from previous crypto investments and ICO seemed like a no-losing affair to them, all was good. ICOs raised very high amount of ETH in this period, taking into consideration the market price and rising momentum , ICO projects concluded that the ETH price was their least worry of all and that it was a thing that will only see upwards and if there will be downward changes, there will be small drops only for a short period. In January 2018, ETH price was $1417! That was the All-Time High of ETH. This was good news to Eth investors and stakeholders, as their returns were very good. ICO funding grew significantly, with over whopping $3.007 Billion in that month. This was the largest ICO funding record, Q1 2018 ICO funding surpassing the total 2017 ICO funding entirely! But as the year started proceeding, it was not business as usual for ETH price. In February 2018, the prices dropped to $864, which was not that bad though. Things started looking peculiar when the prices dropped to $403 in March the same year. This was so uncertain, and a very discouraging time to ETH and cryptocurrency investors. The price of ETH fluctuated to $683 in April, and then it started falling gradually. As in November 2018, ETH was priced at $117. This was a very tremendous drop for ETH value. Following the pattern, Q1 2018 got $8.8 Billion ICO funding. But Q2 had only 5.5 Billion ICO funding, which represented the first quarter-over-quarter decline. Q3 was not that bad; July alone recorded $1.5Billion ICO funding. In August, ICO funding was only $326 Million, a very huge drop to the prior months. ETH Price has fallen further and so has funding. ETH price and ICO funding have followed the same trend mostly rising and falling together, But it doesn’t go well with Businesses. There were those ICOs that raised money above USD soft cap in ETH and were going to carry on with their plans and projects fully funded. There were ICOs that raised short of their USD Softcap but believed that ETH prices would go up, which would help them achieve their plans as intended. There were ICOs that raised short of their USD Softcap and simply closed the business. The 3rd type of ICO is not the concern as they are shut just. Worries loom for other two, These raised funds at high prices of ETH and expected to sell ETH constantly in market to raise operating money for projects. Lets think of a project which raised $100Million in ETH when ETH was priced at $1000 , they have sold some at good prices and are selling per month to operate or fund their operations , but now when prices are six times low it is not feasible for them to keep up with their plan to proceed, well they have 1/6 of money needed to do what they are supposed to do with full ,and this money holding can further fall. We saw huge selling of ETH by ICO related addresses in Dec 2018 which showed how things are turning for bad. Fall in ETH market has knocked off several ICO projects and still is impacting thousands of others. Only an early recovery of the crypto market can save remaining ICO projects from shuttering down and billions of investor money going down the water, which still is remote and distant in crypto Bearland.